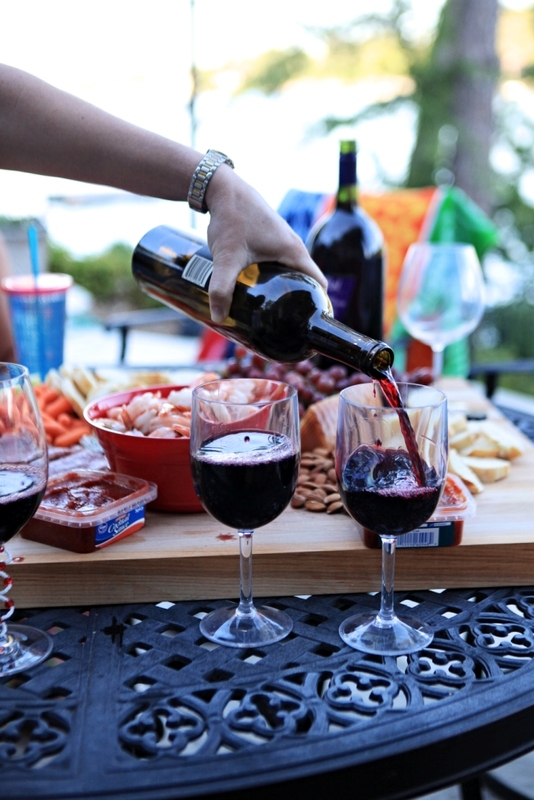 Bread + Cheese + Wine = Perfect. I can’t think of a meal I love more than bread and cheese. Seriously, I can not turn it down. A perfect bread and cheese platter is easy to put together and effortless to serve, plus it’s so beautiful. We used to have a bread and cheese spread as an appetizer for Christmas dinner, but then we found we were too full for the dinner. We loved the cheese so much, that we omitted the big dinner and now we just have bread and cheese! So much the better. 1. Cheese Quality and Selection. Go for the good stuff. Leave that pack of multi-colored cheese cubes at the store. If you want cubes, cut them yourself out of a brick of extra sharp Irish cheddar. For a group of 8-10 people, you can get by with three cheeses. A soft creamy cheese (brie), a hard cheese and something in between. My three picks would be a camembert, a blue cheese and a Manchego. You could alternate a soft goat for the blue cheese or a sharp cheddar for the Manchego. You could use brie if the camembert is too strong for your taste. Or try goat brie or goat gouda for something different. I buy rustic baguettes and slice them up. My sister takes this a step further and brushes them with olive oil and toasts them in the oven to crisp them up. I am also not opposed to water crackers and pita bites. Crackers that have too much of their own seasoning tend to take away from the flavor of the cheese, so keep them simple if you’re using crackers. Grapes look beautiful on a cheese platter. So do strawberries. I think pears and apples compliment the flavors of cheese best. Fruit brings the color to your cheese board. If you’ve never put a piece of Manchego, a dried cranberry and an almond in your mouth at the same time, stop reading and rectify that immediately. A sprinkling of nuts and dried fruits will compliment any hard cheese and add texture to your platter. A fig or raspberry jam served alongside a goat cheese is also a great addition. And if you’re having your bread and cheese board as a feast, then the sky is the limit. Add hummus and pita chips, an artichoke dip, cured meats or even shrimp! 5. Don’t forget the wine. A dry red wine goes with cheese, which also happens to be my wine preference. Lately I am enjoying a Malbec with my cheese platters but I would never turn down a Pinot Noir. Shiraz and Cabernets also work well. 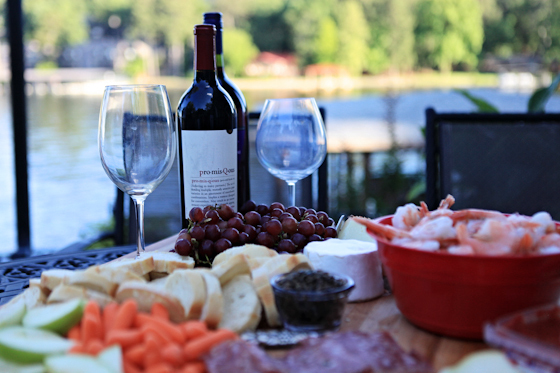 And of course, a wine and cheese platter is best enjoyed with friends! 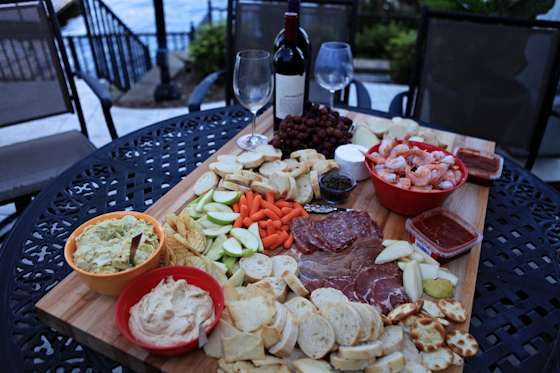 So invite some over and watch their faces as their crazy days wash away when a perfect cheese platter is served! What’s your favorite cheese to grab for a cheese board? Anything you would add to your perfect platter? PS All of these GORGEOUS photos were taken by the VERY TALENTED Whitney Loibner. She and I have been eating cheese together for a very long time! Did you enjoy this post? Maybe you’d like to subscribe to the Chino House via RSS feed or by email. More recipes here. That looks so good! I love all those foods! Thanks for a delicious idea for dinner!